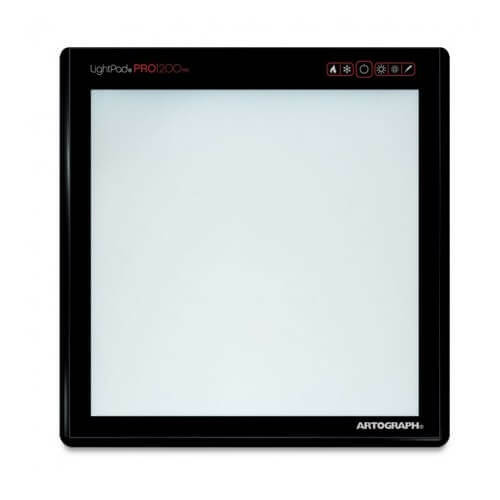 Artograph LightPad Pro1200 LED Light Box 12" x 12"
With variable brightness up to a blazing 11,000 lux, strong enough to shine through 300# paper and fabric, the LightPad PRO adds a color temperature adjustment to bring projects into their natural color from a warm to cool white. Changing color temp highlights different tonal qualities in your artwork. Designed for easy use with a T-square, the LightPad®PRO features a tempered glass cutting surface.